A collector needs good books like fire needs air - and part of the reason for this site is because it´s hard to find literature on this subject. 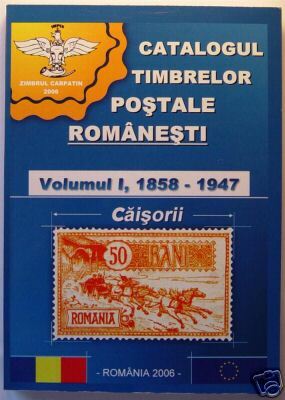 More info: Don Hellers "Philatelic Literature on Romania"
The standard reference work is Catalogul Marcilor Postale Romanesti -74 in Romanian, very detailed! O.W. Friedl & J.R. Arnold - Billig's Philatelic Handbook Vol XIII (Romania 1858 - 1930). D & F.P. Russell - Romania - Specialised Catalogue 1918. - Posta ambulantã feroviarã în România 1869-1994., (1995). Birnbach, Heinrich & Berthold - Moldau-Walachei (Rumänien). Die fremden und einheimischen Posten bis 1875. BRUNEL, G - Les timbres du Royaume de Roumanie. Cohen, Edouard - Contributions à l'étude des essais des timbres-poste de Roumanie, Lisbon, 1945. Cohen, Edouard - Considérations sur quelques planches des émissions lithographiées des timbres de Roumanie 1868 - 1872, Lisbon 1950. Cohen, Edouard - Les timbres de Roumanie des émissions de 1872 à 1879, Lisbon 1952. Dragomir, Kiriac - Mãrcile postale clasice românesti litografiate în perioada 1865 - 1872. Georg, Hans - Rumänien, Typenmerkmale, Umdruckblocks und Drucksteine der Steindruck-Ausgaben, 1865-1872. Heimbüchler, Fritz - Romania: The Bull-Heads of Moldavia 1852-1862. Heller, Don - Romanian Postal Receipts. Murea, Petre - Istoricul timbrelor postale românesti 1858 - 1938. Sapira, Marcel - Emisiunea "Paris" 1872-1885. Ettre, L.S. - Hotel Posts of the Siebenburgischer Karpathenverein. Williams, L.M.N. - Hotel Posts of Hungary and Romania. 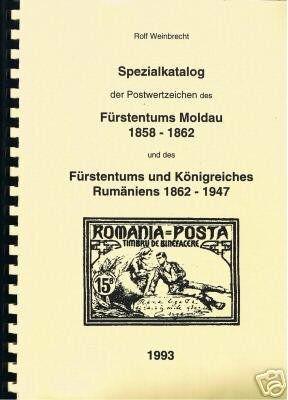 ROMANIAN POSTAL HISTORY PAGE Absolutely recommended! Müller, Edwin Handbook of the Pre-Stamp Postmarks of Austria. Müller, Edwin - Grosses Handbuch der Abstempelungen von Altösterreich und Lombardien - Venetien. Ryan, G.S. - Cancellations of the Hungarian Post Offices on the stamps of Austria. Ryan, G.S. - Cancellations of the Hungarian Post Offices on the first issue of Hungary. Tchilingirian, S.D. & Stephen, W.S.E. - Austrian Post Offices Abroad. Rainer, Herwig - Stempel-Handbuch der k.u.k. Feldpost in Österreich-Ungarn 1914-1918. Tranmer, Keith - Austro-Hungarian A.P.Os, 1914-1918.